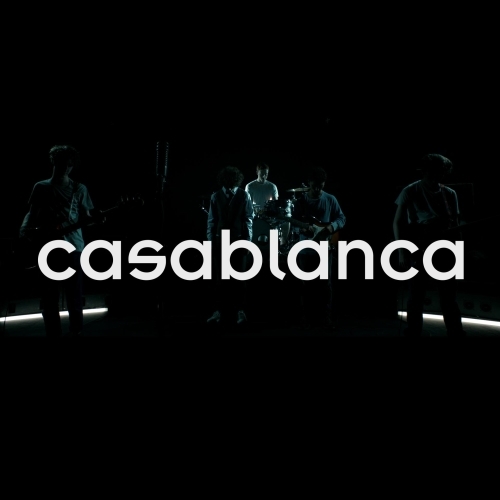 London’s Casablanca are seemingly destined for a career in indie-pop having been schoolmates with Bombay Bicycle Club, Cajun Dance Party and Theme Park. The ties run deeper with drummer Tom MacColl being the brother of Jamie MacColl of Bombay Bicycle Club. If that’s not enough, when formerly known as Lo-Fi Culture Scene, the then-quartet also supported the likes Foals, Bloc Party and The Maccabees while still at High School. Now all but grown up at the ripe age of 18 years old, the quintet of Casablanca and are set to release their debut single ‘Yes’. The single is a lushly produced, solidly written and perfectly executed slice of indie guitar pop. Comparisons can be made to The Maccabees, Friendly Fires and fellow London newcomers Zulu Winter. In fact, ‘Yes’ sounds a lot like Zulu Winter in terms of songwriting, their prominent use of glistening synths, and even Jacob Wheldon’s vocal tone bears similarity. Beginning with a warm atmospheric synth, cowbell-like percussion is introduced adding a summery, Friendly Fires-ish inflection, before a tasty indie guitar arpeggio emerges and vocals are introduced. Again like Zulu Winter, Casablanca’s sugary vocal hooks appear somewhat understated but are deceptively catchy and have no problem taking hold in your brain long afterward. The song’s instrumental bridge is particularly impressive, which sees the band create an atmospheric wall of sound consisting of delayed guitars and shimmering synthesizers leading into the final chorus. A solid debut and a great find; ‘Yes’ is a mighty fine start with a promise of even greater things to come. ‘Yes’ will be available digitally on 17 September and also as limited edition 7” (200 copies), which you can order here.